Why Do People Choose Stem Cell Therapy for Elbows? Stem cell therapy has emerged as a treatment option with many potential benefits for patients with elbow pain caused by injuries, diseases, and conditions like tennis elbow. Applying stem cell therapy to elbows experiencing pain could provide a safe, efficient, and natural alternative to surgery. For patients suffering from conditions or diseases that cause inflammation and restrict elbow movement, stem cell therapy may be their best option yet. Why Is Adipose Stem Cell Therapy a Likely Option? Many types of stem cell therapy have emerged in recent years. Each is effective in different circumstances and which one you choose has major implications. Since each patient is also unique, you should speak with a knowledgeable stem cell therapy doctor for treatment recommendations. This will allow them to create a wellness plan customized to your needs. The recommendation for most typical injuries is to use fat stem cells from your own body (autologous adipose stem cells) since they may hold the greatest potential for treating elbow pain. Since this pain is often caused by inflammation, and adipose stem cells could create several effects within the body that reduce inflammation, you can expect a relatively quick and easy procedure with low recovery time. Because these stem cells come from your own body the procedure is considered relatively safe. Adipose stem cell therapy has the potential to be therapeutic for numerous diseases. Many studies have determined that stem cell therapy may be able to treat arthralgia brought on by osteoarthritis. Additionally, a stem cell therapy doctor can make recommendations on treatments for sports injuries and conditions. When Would Umbilical Cord Stem Cell Therapy be Chosen? If you suffer from nerve damage, you may be recommended to use umbilical-derived mesenchymal stem cells to treat your issues because they could promote regeneration of crushed and damaged nerves. 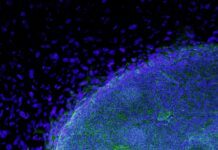 Umbilical cord stem cells might stimulate nerve healing and regeneration. Considering the involved studies, stem cell therapy displays an exciting potential to repair nerves and grant patients a higher quality of life. What About Other Kinds of Stem Cell Therapy? While other forms of stem cell therapy have their uses, we often prefer adipose or umbilical stem cell therapy for elbows. However, every patient is unique and your individual circumstances should be considered in this decision. In many cases, adipose or umbilical stem cell therapy may prove to be more effective, easier on the body, and more efficient. What Draws People to These Types of Stem Cell Therapy? Patients could save time and money by choosing stem cell therapy as an alternative to other treatment options. Adipose stem cell therapy is a quick and minimally invasive procedure that boasts relatively short recovery times. Since the procedure involves collecting stem cells from your own fat to inject into your elbows, adipose stem cell therapy could have lower risks than many other options. Meanwhile, umbilical cord stem cells such as those from Wharton’s Jelly come from donors and could repair nerve damage and assist with the symptoms of neuropathy. In either case the procedure only takes a few hours and is far less invasive than surgery, offering a simple, fast procedure with little downtime. There is typically minimal discomfort, so most patients return to work the next day and resume normal activities quickly. Receiving these stem cell therapy treatments costs vastly less than a replacement surgery. Most stem cell therapy patients return to normal activity within days to weeks and experience a full recovery from the procedure within six weeks or less. Athletes and patients with busy lives love that they can walk out of the office the day of their appointment. After all, waiting several months to a year to recover from surgery is far from ideal for many people. Why Not Get Elbow Surgery? Elbow replacements (elbow arthroplasty) and elbow surgeries (elbow arthroscopy) are incredibly expensive, highly invasive, and have a long recovery time. Stem cell therapy is much less invasive and may offer faster recovery times while still holding the potential to reduce elbow pain and increase mobility. Stem cell therapy may be able to treat many painful conditions and brings hope for a natural treatment that could substantially reduce inflammation and pain for those suffering from elbow osteoarthritis. In extreme cases, surgery and stem cell therapy may work together to provide a faster recovery from the surgical procedure and potentially added benefits. In any case, your doctor may suggest a complete recovery plan including goals for diet and exercise. c because these may also help alleviate your pain and strengthen your body depending on your unique circumstances. Why Did Adipose Stem Cell Therapy Get so Popular? In 2002, researchers at UCLA introduced adipose-derived stem cells as a potentially useable adult stem cell. Since the publication of their findings, many clinical trials, patient outcomes, and studies on the effectiveness of stem cell therapy treatments have been made public. These indicate that adipose stem cell therapy could potentially be the most promising new frontier for treating pain and inflammation caused by many injuries, conditions, and diseases. The potential to improve the quality of life for patients makes stem cell therapy increasingly popular for those with elbow pain. Stem cell therapy may restore mobility and reduce elbow pain, and these could be just a few of the many benefits of stem cell therapy for elbows. What Benefits Could Stem Cell Therapy for Elbows Offer? With the right doctor and a good plan, stem cell therapy for elbows could offer treatments for arthritis, tennis elbow, and other conditions, injuries, and diseases that affect elbow function or pain. It could serve as an alternative to surgery, and save patients time, pain, and money. After all, adipose and umbilical stem cell therapy procedures are quick and minimally invasive, allowing patients to return to normal activity with little downtime. Here’s a more in-depth look at the possible benefits of stem cell therapy for elbows. A series of recent case studies exhibited how adipose stem cell therapy may have regenerated cartilage in some patients with osteoarthritis. Many patients in the study experienced substantially lower pain, heightened cartilage regeneration, and expanded mobility over the course of three months during the study. In a randomized, double-blind, control study of 55 patients at 7 institutions, two groups of patients received stem cell therapy while a third group did not. Patients with osteoarthritic changes in the groups that received stem cells experienced significantly reduced pain after treatment. Some of these patients even experienced more than a 15% increase in meniscal volume after their procedures. Another paper on clinical studies for patients with cartilage disorders suggests that adipose derived stem cell therapy coupled with a carefully customized treatment plan could give renewed hope for an improved clinical outcome to patients. Yet another case series suggests that MRI evidence, measured physical therapy outcomes, subjective pain, and functional status all improved with the application of adipose derived stem cells and platelet rich plasma (PRP). 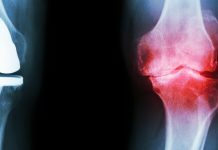 Given this study, it seems like stem cell therapy could promote cartilage regeneration in osteoarthritis. Applying stem cell therapy for elbows may regenerate cartilage and bone, reduce inflammation and increase mobility, all while reducing pain. Though still being actively researched, these studies indicate that stem cell therapy could carry many benefits with relatively low risks. Given how quick and easy it is to acquire stem cells from fat, adipose stem cell therapy may be the most appealing option for many patients. Tennis elbow (lateral epicondilytis) is a painful condition caused when a person’s elbow tendons are overloaded, usually by repetitive motions. More than just athletes can suffer from this pain; anyone who repeatedly puts stress on the tendons of their elbow is at risk. In fact, it is estimated that tendon injuries like tennis elbow account for 30-50% of all musculoskeletal injuries globally. Tennis elbow may cause enough pain and weakness to make things that once seemed simple surprisingly painful and difficult. For instance, opening doors, shaking hands, and holding objects may send pain radiating from the outside of the elbow to the forearm and wrist. Favorite activities such as playing an instrument or a sport, painting, and spending time with children may be highly impacted by this condition. 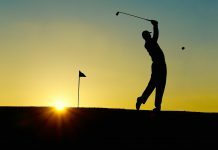 The good news is that if you or someone you know has tennis elbow, stem cell therapy may be able to offer a solution to help manage pain and repair tendon damage. As a treatment option that is currently undergoing patient research, many promising studies have been performed to better determine its effectiveness in treating many conditions and symptoms. A pilot study in 2015 showed progressive improvement in elbow pain, performance, and tendon related structural defects over the course of one year. This allowed patients to move with less restrictions and perform more demanding tasks with much greater comfort. In another study, a single injection created significant improvements in both short and medium term follow ups with patients. The rapid recovery stem cell therapy can offer remains a strong incentive for those with busy lives or active lifestyles. Another trial concluded over the course of an entire year that adipose stem cell therapy was a “novel, noninvasive, and highly effective tool” for healing elbow dysplasia in canines. In this trial, highly significant improvements in lameness scores were achieved without any medication following adipose stem cell therapy treatments for elbow dysplasia and elbow osteoarthritis. While considered safe and effective in these studies, clinical research is still underway. If you are interested in participating in patient funded research, we’ll recommend a skilled stem cell therapy doctor at the bottom of this post. 3. Could Stem Cell Therapy Be A Natural Alternative to Surgery? Surgery is considered a last resort in almost all but the most extreme cases. In recent times, some parts of the medical community have shifted towards using stem cells taken from the fat on your own body in an attempt to promote healing and regeneration as an alternative to surgery. Since these are healthy cells from your body, it seems only natural that they could carry less risk than treatments using foreign manufactured or biological materials. Take this article on reasons why some joint replacements fail: large metal and plastic implants might increase the chance of infection by playing host to bacteria that can latch onto them. Your body may simply not recognize foreign materials and could attack them. Other times, you may get infected by bacteria on them, or express allergies to the materials used in the implants. Speaking of allergies, as much as 20% of the general population suffers from nickel allergies. While this doesn’t affect how patients react to cell therapy, there is a very real possibility to experience a dangerous allergic reaction to surgical implants containing nickel. For instance, Diane Velluci experienced such an agonizing allergic reaction to her knee implants that she felt like she was poisoned and dying. Her allergies left her so crippled by weakness and exhaustion that she needed a leg lifter just to get on and off the couch. Ultimately, a revision surgery was required to replace her implants with nickel-free alternatives so that she could finally begin to recover. Stem cell therapy may be a simple solution to this complex problem. Any patient with worries about allergies or infections from an elbow implant or the pain, weakness, and exhaustion that could accompany it may consider cell therapies as a promising alternative. Besides, adipose stem cell therapy is a less invasive procedure with a faster recovery time than arthroscopy or elbow replacement surgery can offer. Stem cell therapy will even allow you to walk out of the office on your own within hours of the procedure. However, keep in mind that you will still need someone to drive you home! It pays to know the different types of stem cell therapy and how they could benefit your particular issue. We recommend that patients seek out a talented stem cell therapy doctor like Dr. Dale Carrison of Las Vegas, Nevada who can customize a treatment plan for their specific circumstances. Not only will an experienced doctor best understand your current situation and history of symptoms and their causes, but they’ll be able to form a unique treatment plan catered just to you. Researchers at John Hopkins University have determined that stem cell therapy using fat-derived stem cells is more economical and efficient as a source of stem cells than therapies relying on bone marrow. Fat-derived autologous stem cells seem to carry less risk due to the method of acquisition, are easier to acquire in the first place, and offer a quick recovery with minimal restrictions. Considering this, it’s no surprise that adipose stem cell therapy has exploded in popularity in recent times. Even the European Commission (the executive of the European Union, composed of 28 European countries) funded and subsequently published a clinical trial declaring adipose stem cells to be affordable, widely available, and easily applied. 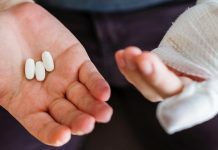 They cited its potential for answering numerous unmet medical needs in anti-inflammatory and autoimmune diseases such as Rheumatoid Arthritis (RA). The European Commission also published results showing lasting benefits for patients who underwent stem cell therapy when compared to patients who did not receive stem cell therapy. In examining the economic impacts these treatments could have for European citizens, it was discovered that these treatments might allow some patients to return to work and offset the costs of medical downtime, positively impacting the economy. With adipose stem cell therapy for elbows, stem cells are harvested from the fat in your abdomen and then injected into your elbows before you walk out of the office. Patients usually return to work the following day and have resumed most normal activities within several days. On the other hand, elbow replacement surgery can take months or even a year to recover from. Given the higher up-front cost, longer recovery time, and more painful and invasive nature of elbow replacement surgery, many patients might not be eager to try it. These same patients could see stem cell therapy as a financially and medically appealing alternative to elbow replacement surgery. These studies on stem cell therapy hint at incredible changes in the world of modern healthcare. Of course, this option should be discussed with a skilled stem cell therapy doctor and applied with consideration to each individual patient’s circumstances. These studies show that using stem cell therapy for elbows could offer substantial relief to patients with elbow pain, injuries, and inflammatory conditions or diseases. Even patients with osteoarthritis could experience a faster, safer, and more comfortable recovery than was previously believed possible. Stem cell therapy for elbows may now be the new frontier of treatments for many kinds of elbow pain. New studies, government approved clinical trials from around the globe, and patient testimonials continue to point to the potential benefits that could come from stem cell therapy for elbows. In the right applications, it may even serve as an effective alternative to surgery. This treatment option even gives hope to patients suffering from osteoarthritis and arthralgia, with the potential for substantially less pain and greatly improved range of motion. The future of treating elbow pain may have arrived. Many studies indicate that stem cell therapy may provide substantial increases in quality of life for patients. Athletes, soldiers, and everyday people might enjoy a life filled with less pain and more mobility. The future of healthcare never ceases to amaze us, and we’re eager for new discoveries in this generation of regenerative medicine. It is this hope for our patients that gives us such a strong belief in the importance of the treatments we offer. When it comes to applying the art and science of stem cell therapy for elbows, consult with an especially practiced and knowledgeable doctor to formulate a customized treatment plan for your individual circumstances. If you have questions about stem cell therapy for elbows, Dynamic Stem Cell Therapy employs an incredible staff and a compassionate, world-class doctor that can help you find the right path for your personalized treatment. Book a free consultation or contact us today, and we’ll help you discover if stem cell therapy could be right for you.